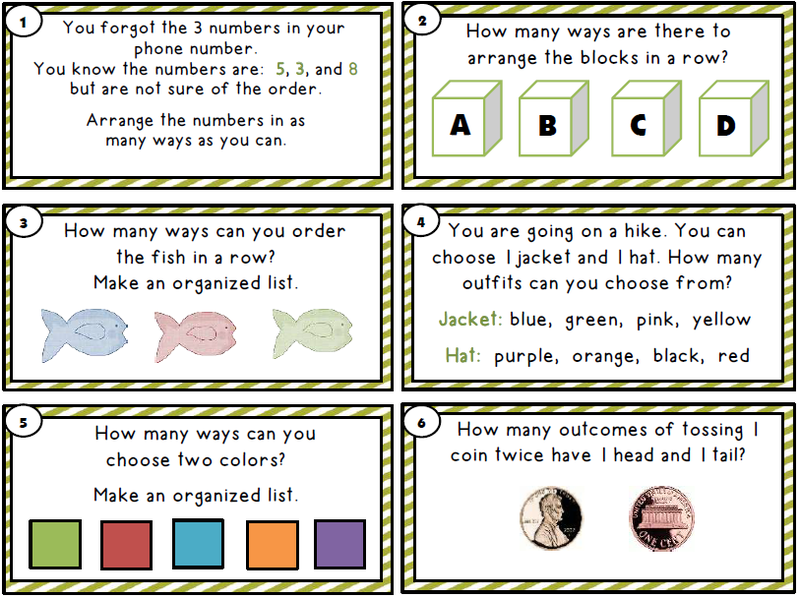 Spice up your combinations unit with these fun Combinations - Task Cards . A total of 16 Task Cards are included in this set. Students find all the combinations that can be made on each task card. 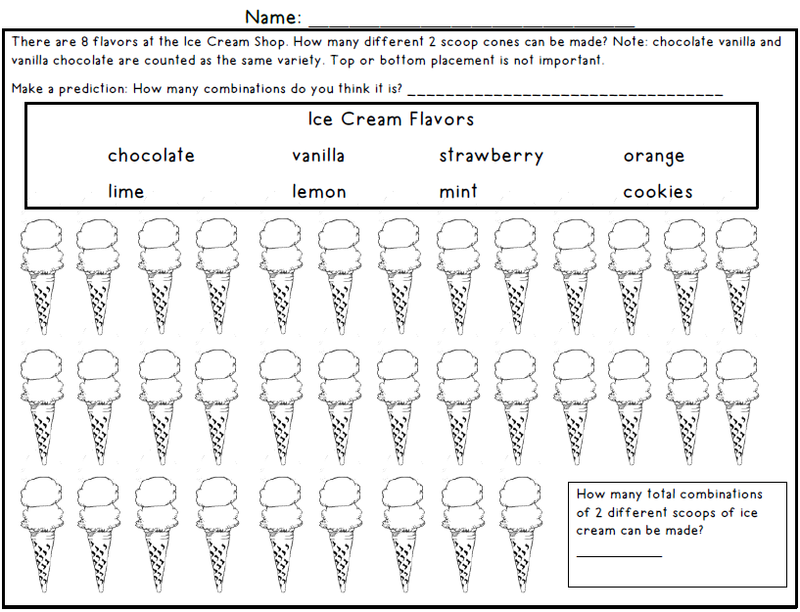 Display the Task Cards along with the recording sheet at a math center for individual practice. Or team students up to solve task cards together. 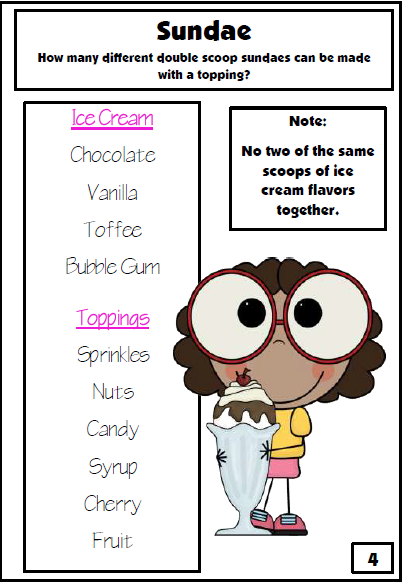 How many different ways can you can the sundae be made with 2 scoops of ice cream and a topping? 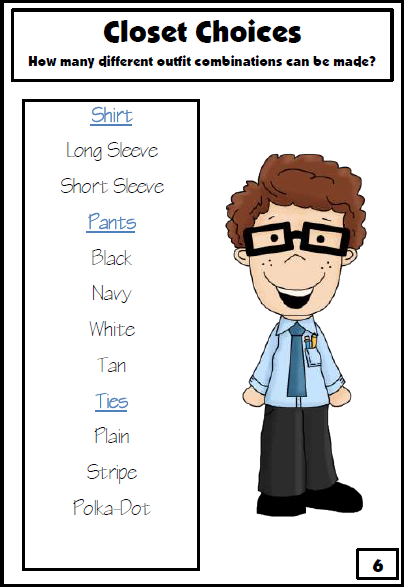 How many different outfits can be made using the 3 choices? How many different aliens can be made? 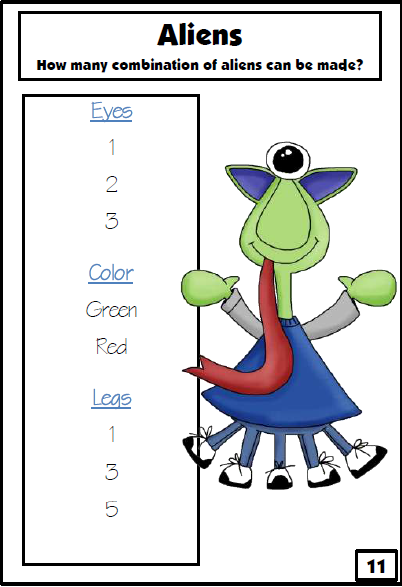 Here are a few Free Combinations Activities. Click the picture below.